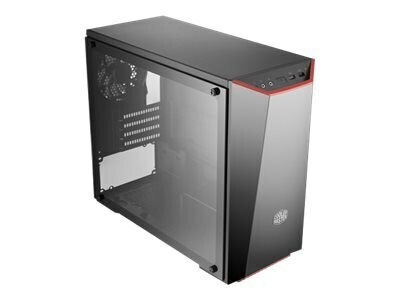 The MasterBox Lite 3.1 TG mATX case is your straightforward option for your PC build that doesn't ignore good looks, customization, or performance. A sleek DarkMirror front panel and three custom trim colors offer a great first entry point for customization. Additionally, it comes with a thick edge to edge tempered glass side panel to show your internal components. And with support for up to 3 cooling fans and a watercooling system, your performance will not suffer.